The biggest Information Communication Technology (ICT) fair in the country has started from today (February 6, 2013). 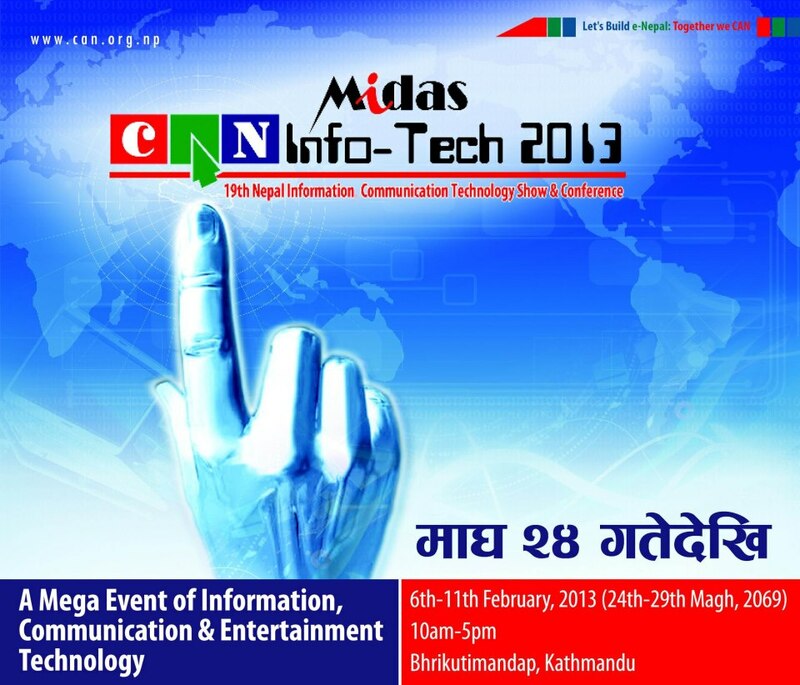 Midas 19th CAN Info-Tech 2013 will take place till February 11 at the Bhrikuti Mandap Exhibition Hall. Secretary at the Ministry of Environment, Science and Technology Keshab Prasad Bhattarai inaugurated the expo amid a function held at City Hall. Computer Association of Nepal (CAN) has been organizing the event for the past 18 years with the objective of raising awareness on ICT and providing platform for entrepreneurs to showcase latest innovations in the ICT industry. The Info-Tech has 220 stalls including 40 branding pavilions. CAN is also organizing 13th ICT Conference alongside the event. The conference will be held on Friday and Saturday on the theme ´Promoting e-Democracy in Nepal´. On the first day of the event, stalls of companies dealing on power solutions, Internet packages and laptops managed to see huge footfall.